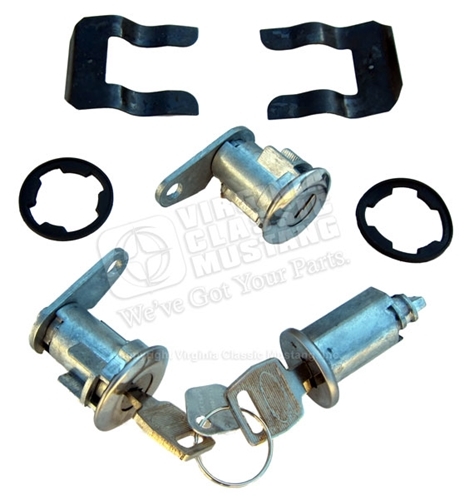 Set includes 2 door lock cylinders and 1 ignition cylinder. 2 keys that match the door and ignition cylinders also included in the kit. Door lock cylinder gaskets and retainers are also included. This is a great set to purchase so your keys all match the doors and igniton just like they originally did.